JUST UPDATED to v 1.2 for FCPX 10.4.5 & Mojave! 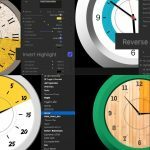 BretFX Clock Maker is a highly customizable, animated clock plugin for FCP X that can optionally highlight a particular time frame. The size, color, position and scale of nearly every aspect of the face, hands, background/drop zone, tick marks and highlight can be adjusted or turned on/off with unlimited possibilities. 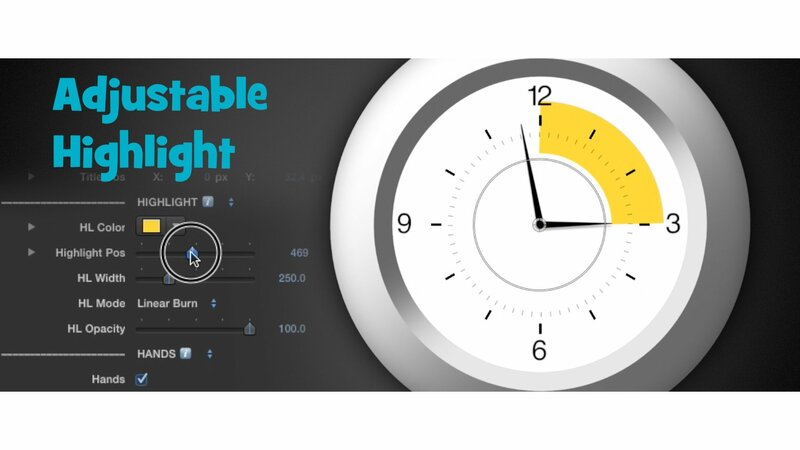 It’s great for overlaying over a time lapse, informational graphic, cooking video or anywhere you need to show the passage of a particular amount of time. Reverse Animation When checked, your clock will animate in the reverse direction for the specified duration. 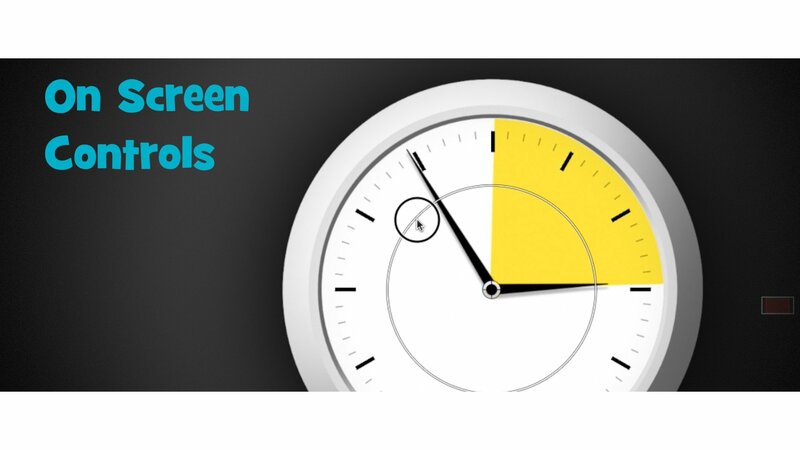 Helpful for creating a countdown timer. Invert Highlight When checked, the highlight area wipes the highlight off instead of wiping the highlight on. Great for simulating a timer or a countdown. Font Consistency has been greatly improved and is the main focus of the 1.2 update. Use almost any font for standard numbers / stopwatch and the Roman Font consistency has been greatly improved as well. Final Cut Pro X 10.3.4 (Sierra) Previous Version Installer Included. Doesn’t support new features. 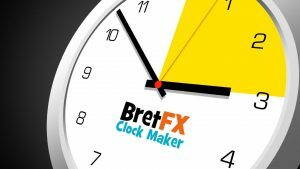 A comprehensive set of 4 tutorials covering all aspects of BretFX Clock Maker. Thanks for downloading the BretFX Clock Maker FCP X plugin! I hope you enjoy it and find it useful in your productions. If these instructions don’t cover all questions about installation and usage, don’t hesitate to contact support@bretfx.com. 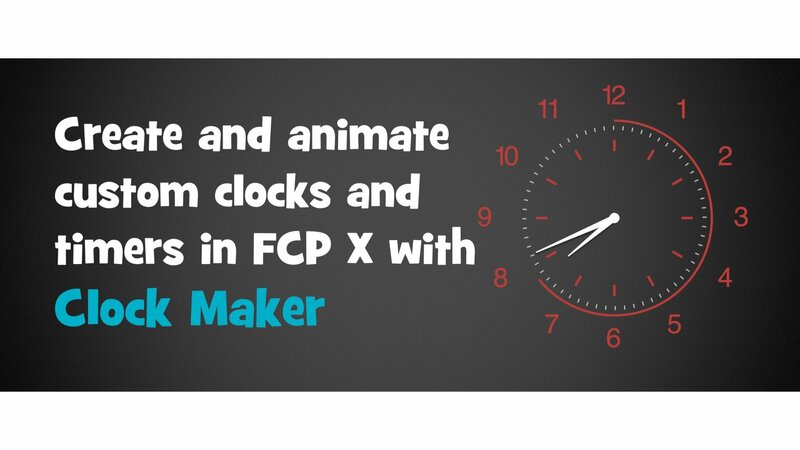 Clock Maker is a highly customizable, animated clock plugin for FCP X that highlights a particular time frame. The size, color, position and scale of nearly every aspect of the face, hands, background, tick marks and highlight can be adjusted or turned on/off with unlimited possibilities. 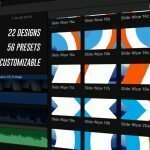 It’s great for overlaying over a time lapse or informational graphic. Over 20 presets are installed to get you going, or you can start from scratch. After installing, the plugin and presets are found in Generators under BretFX Clock Maker. Double click the DMG file to mount the installer and agree to the license. Then, double click the .pkg installer and follow the prompts. In FCP X, navigate to the generators browser. 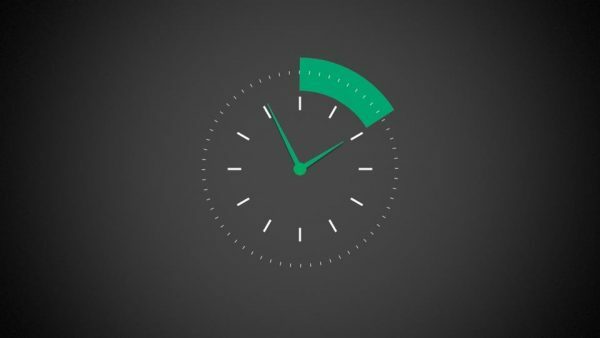 Drag BretFX Clock Maker or one of over 21 presets to the timeline. 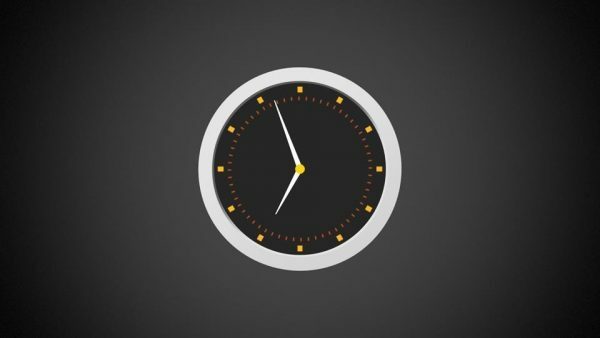 In the viewer window, the scale and placement of the clock can be adjusted with the on screen controls. Drag the center control to move the entire clock around. 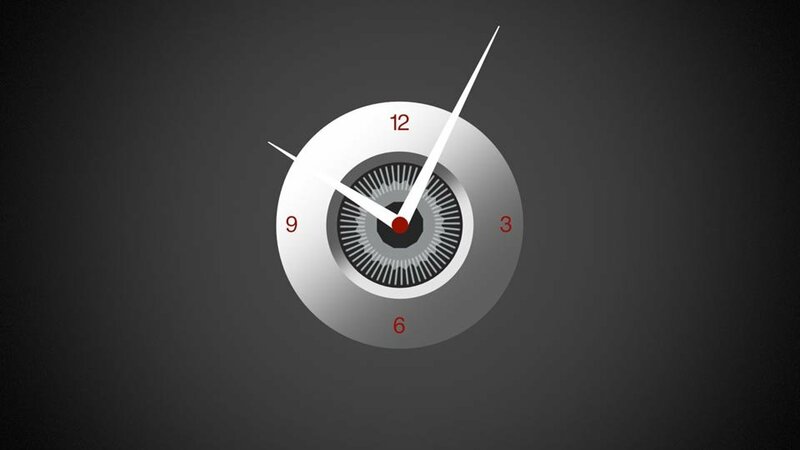 Drag within the inner circle to control the scale of the clock. For other adjustments, open the inspector and choose the generator tab where all controls are. With Clock Maker selected in the timeline, open the inspector (if it isn’t already) and choose the Generator tab. 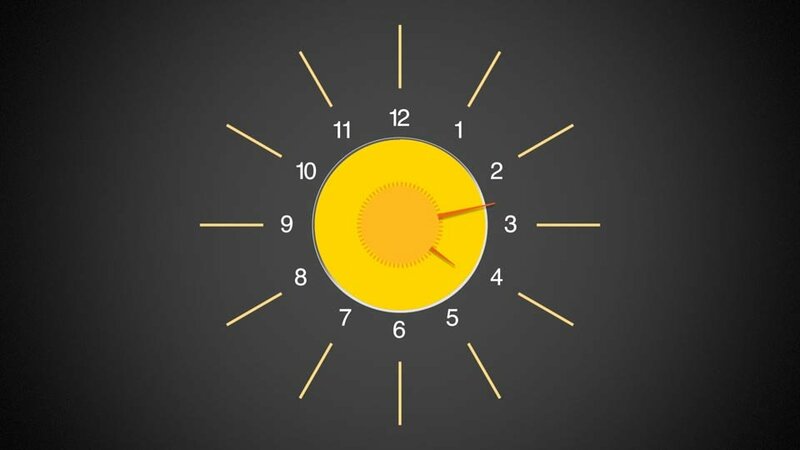 There are a lot of controls, but most are focused on the look of the clock and are self explanatory. Even so, most controls display helpful information if you click on the title of each adjustment section covered below. 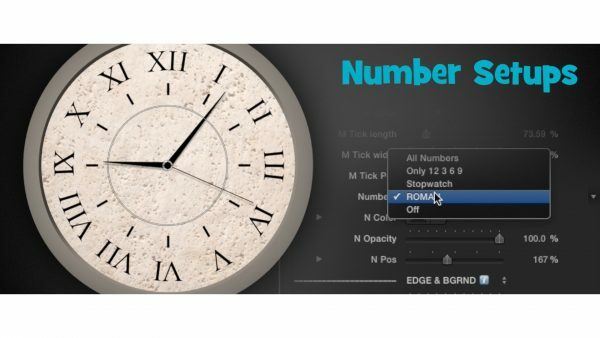 Position and Size of the Clock Maker can be adjusted here as well as with the on screen controls. Rotation can only be controlled here in the inspector. 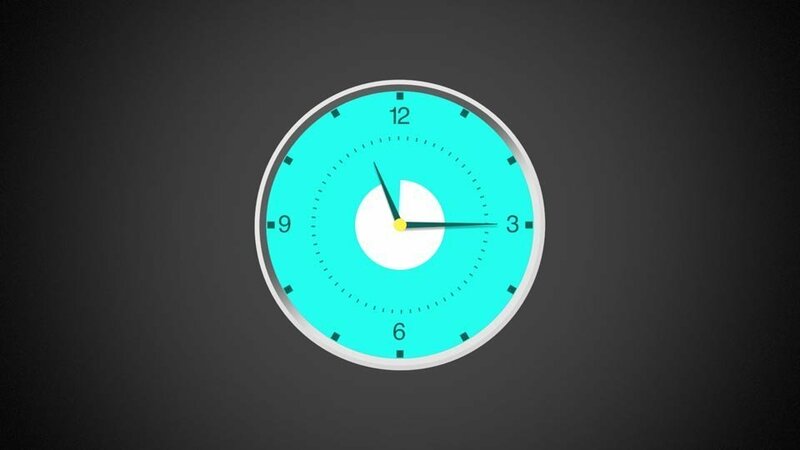 The clock defaults to animating and highlighting the clock hands and highlight from 12 to 12. To control the start time, adjust the start time. 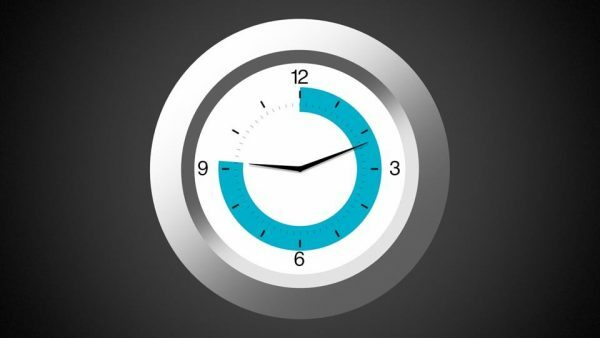 The slider goes from 0 to 12 and refers to the actual hour (with 0 being 12 of course). 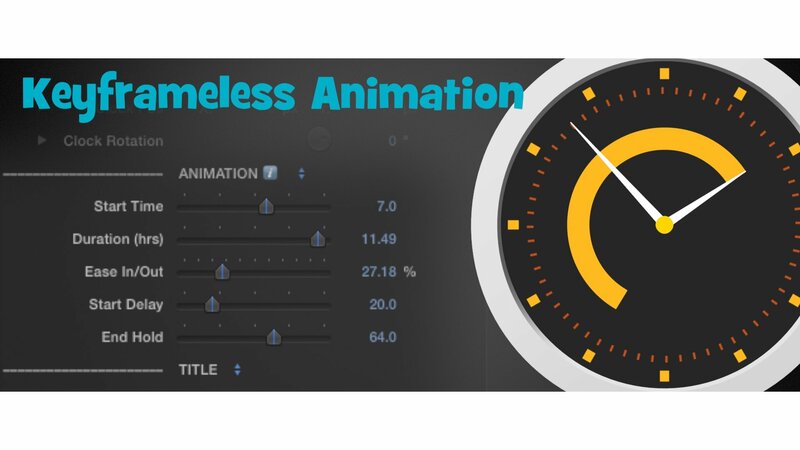 Adjust the length of the animation/highlight with the Duration slider. 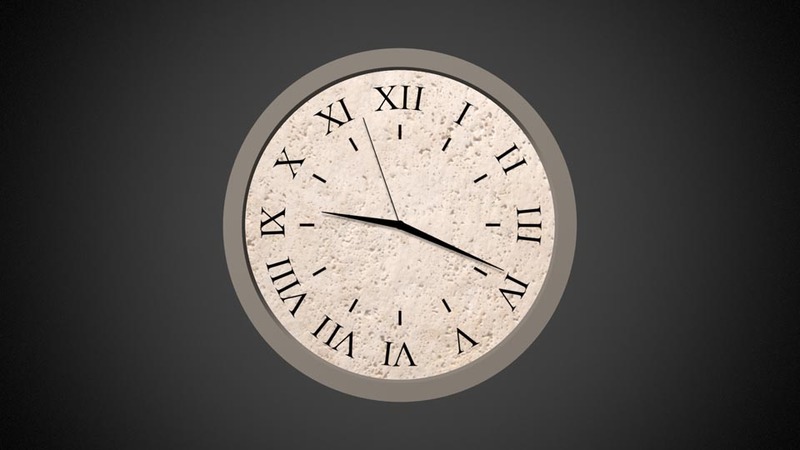 It refers to the number of hours the clock will animate over. 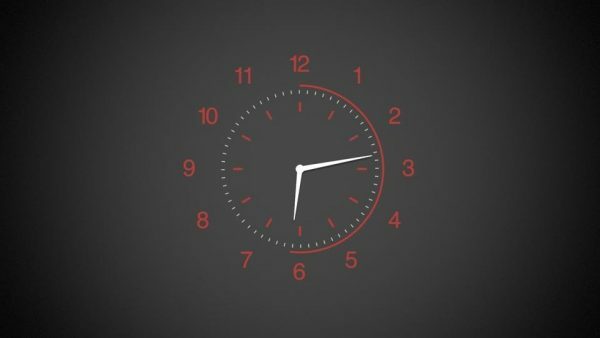 So if the start time is set to 2, and the duration is set to 4, the clock hands will animate from 2 o’clock to 6 o’clock. The highlight will follow along the hour hand and highlight the block of time from 2pm-6pm. Start Delay will adjust how long it takes until the animation starts, and End Hold will adjust the duration of time between when the animation stops and the end of the clip. Ease In/Out adjusts how smoothly the animation accelerates and decelerates over the course of the animation. A basic title can be turned on. It’s position and attributes can be changed like any FCP X title. It will always move in relation to the position, scale and rotation of the clock. Fully control the color, size, position and opacity of the highlight. Using the Linear Burn mode is more like a real highlight, interacting with the colors and images underneath. 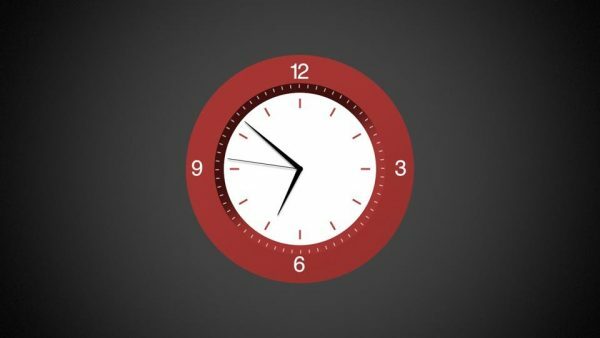 It is the likely choice if the clock face is greyscale and not transparent. 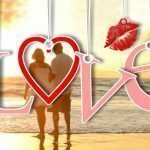 If this produces unacceptable results then it can be changed to Normal, which will act like a solid element. To see the background underneath in Normal mode the opacity will need to be adjusted. The normal mode is likely the better choice when the clock background is a color or transparent. 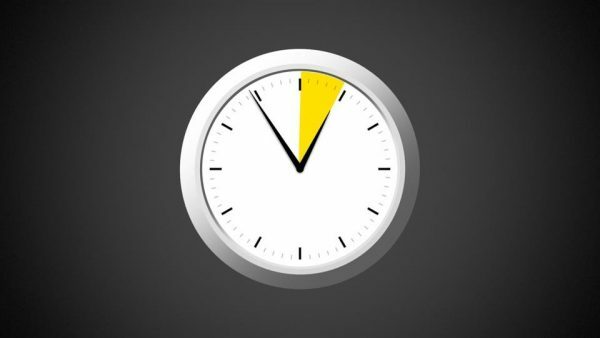 Turn on/off and/or control the color, opacity, drop shadow of the clock hands. You can choose between standard, modern, and antique hand styles. 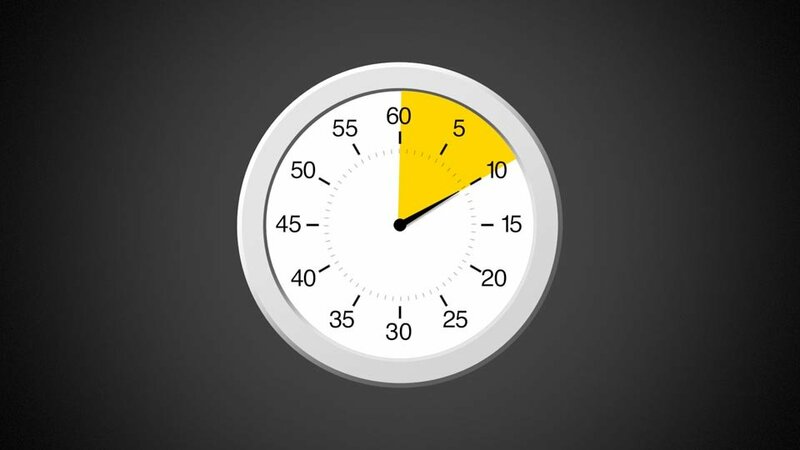 Fully control the color, width, length, position & opacity of the hour tick marks and minute tick marks. The tick marks can either be rectangular or circular in shape. In circular shape mode, the width parameter is not applicable. You can also turn on clock face numbers and choose between all 12 numbers or just 12,3,6 &9. There is also a stopwatch numbers mode, which make it possible to simulate a stopwatch instead of a clock. You may choose between 4 face number styles. All 12 numbers, just 12,3,6 &9, Roman, or Stopwatch. You can use any font on your system, but due to the inconsistent kerning and scale of different fonts, results may vary. We wanted to open it up to any font on your machine instead of picking a subset of known functional fonts. The Roman style is more consistent than standard numbers and more fonts will work correctly. If a font doesn’t work correctly keep trying until you find one that works. With the stopwatch style you’ll likely want to turn off the second hand and the minute hand and utilize the hour hand to to simulate a stopwatch. 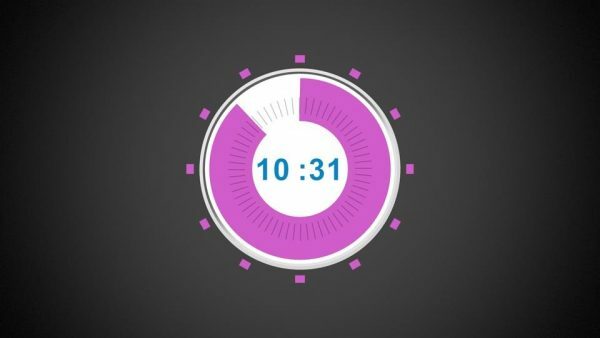 Clock Maker includes a customizable stopwatch preset with this already done for you. Fully control the colors, size, width, bevels and opacity of the Edge and Background of the clock. 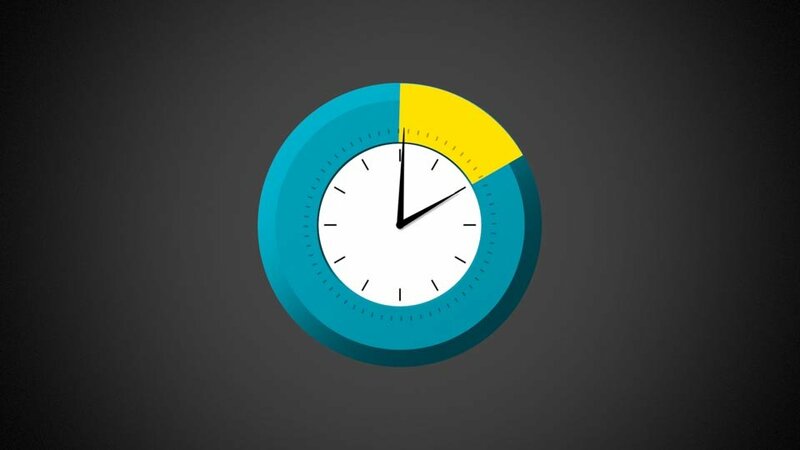 Utilize the background drop zone to further customize the clock. 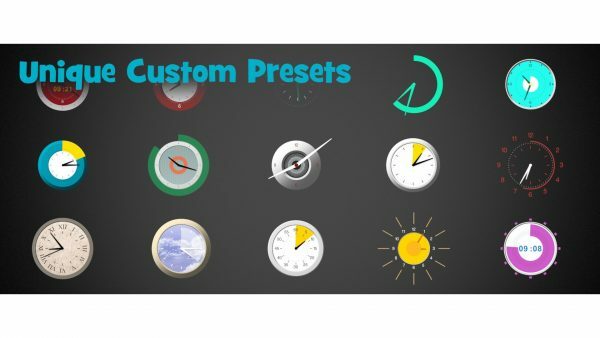 4 presets included with Clock Maker (and shown in the demo video) utilize the drop zone by default. They are Forest, Pin Stripe, Roman, and Sky. The backgrounds shown in the demo aren’t included with Clock Maker, but they are included with FCP X and can be found in the Generators under backgrounds and textures. 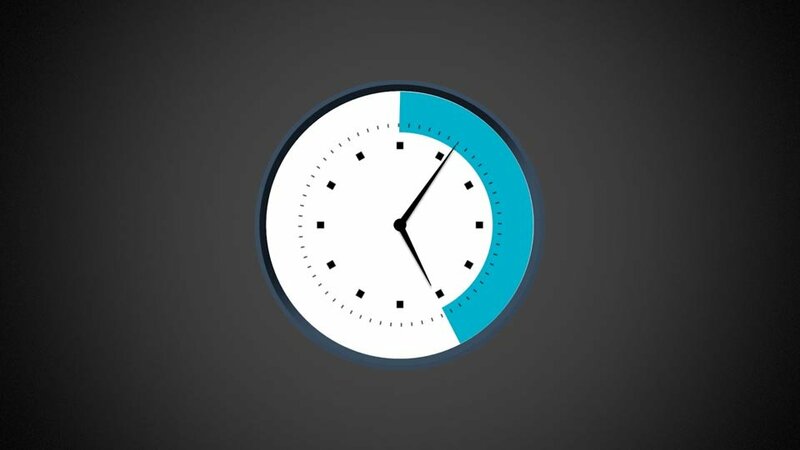 Time Display controls are a bit experimental. This displays a matching digital display of the time. Controls are limited to position, size color and opacity. 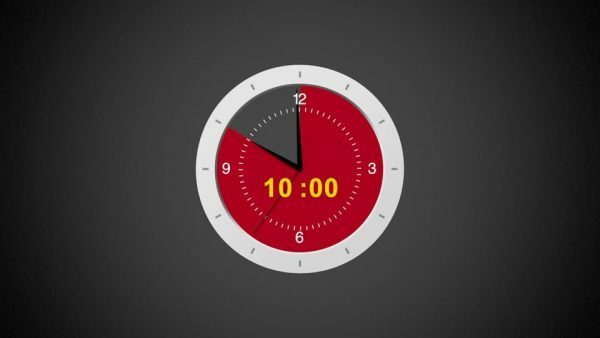 To function, Clock Maker must be placed in a compound clip of exactly 10 seconds (default). The compound clip itself can be retimed or trimmed. Clock Maker does exactly what I wanted a lot of other programs to do, quickly and simply: make animating clocks for our clients. Works great, thanks! Simple to use, highly flexible with some good pre-sets to start us off. 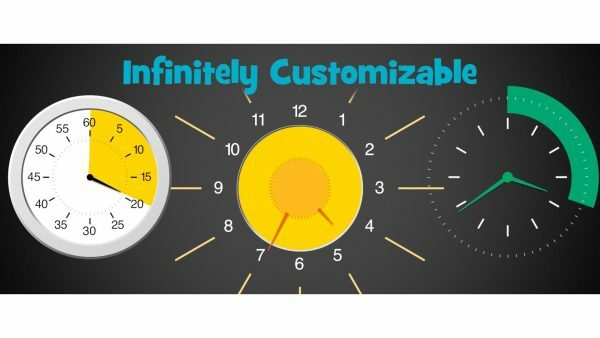 My 8-year-old loved designing a clock for her video, and I’ve been able to create my own standard clock by round-tripping to Motion. Fabulous.